Kevin graduated from Seton Hall University in 1967 and Seton Hall University School of Law in 1970. He was admitted to the bar in 1970 and was the law secretary to the Honorable John F. Crane, A.J.S.C., in Passaic County, from 1970 to 1971. Kevin is a member of the Monmouth County Bar Association and is the current President of the Sea Girt Chamber of Commerce from 2001 to the present. He has been a member of the Advisory Board of the Manasquan High School Academy of Finance, a business mentoring program for high school students, from 2001 to the present. He is also on the Board of Trustees of the Central Jersey Blood Center since 2012. Kevin has primary responsibility for the firm’s residential and commercial real estate practice. He has extensive experience in development, purchases, sales, leases, construction, 1031 exchanges, planning board and zoning board matters. Kevin is a true “general practice” attorney with experience in such areas as business and corporate law, wills and estates, matrimonial law, banking and related litigation. 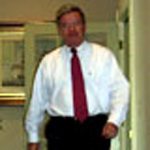 Member of the Board of Trustees of the Central Jersey Blood Center -2012 to present.